The Public Schools Branch (PEI government) is doing a review of schools in our area, including Prince Street Elementary School. 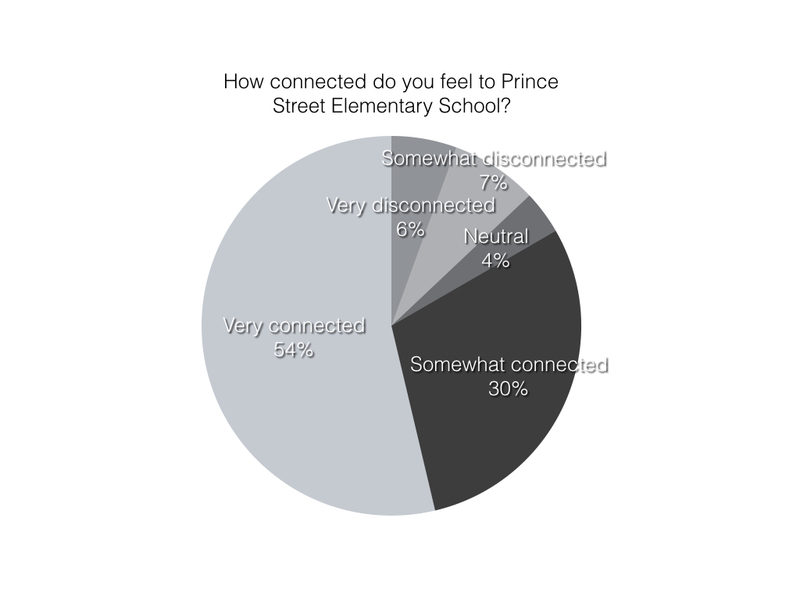 At present, there is NO reason to think Prince Street Elementary School will close. However, our school and other schools connected to it WILL be affected by school changes. Government says the changes will be in place by September 2017. As members of the Prince Street Elementary School community, we have some say in these changes if we speak up now! Why is Prince Street Elementary School part of the school review? Prince Street School is considered “under-utilized.” This means there are fewer students than the school can comfortably hold. The school is not as full as it could be. And it is expected to get less full, not more full, in the next few years. Having fewer students means higher costs for running the building, but being under-filled affects students’ education, not just cost. Why? Having fewer students means having fewer staff members. It also affects what programs can be offered. A school that is too empty has fewer staff people and fewer resources for programs. Here is an example. Kindergarten enrolment at our school has gotten less over the last few years. We went from having three kindergarten classes to just two. The whole Prince Street School has been affected by the loss of a kindergarten class. It is harder for a school that is under-filled to adapt to change. For example, if three families move to Prince Street School with three kindergarten-aged children, it is harder to absorb three children into two kindergarten classes than into three. It could result in a kindergarten class with more students than recommended, so the teacher has less time for each student. There is lots of change in the Prince Street School population each year. Families move to Prince Street School. Families move away. We have a lot of diversity in our school community. This means diversity in how people gain their income and how much income they have. It means diversity in cultures or countries of origin. It means diversity in language and diversity of ability. Students have a diversity of needs. Prince Street School is under-filled. Some other schools nearby in Charlottetown and Stratford have more students than fit in their buildings. Over-crowded schools are stressful for students and staff. Over-crowded schools also cause problems for offering the programs and services that help students learn. Birchwood Intermediate School, where most Prince Street students go after grade six, is very seriously under-filled, and that is creating very serious challenges. The Birchwood community (families, staff, and others) talk about challenges such as keeping high-quality programs, retaining good staff, and keeping a positive spirit in a school that is too empty. Colonel Gray High School, where most Prince Street students go after grade nine, will be uncomfortably over-crowded by the time this year’s grade six students graduate from high school. Changes to school zone boundaries. Every school area has “borders.” Some of these borders could change. For example, this could mean that a street where students now go to Prince Street Elementary could become a street where students go to Parkdale Elementary or vice versa. Changes to what programs are or are not available at schools. For example, French Immersion is an example of a program that is available in some schools and not others. It is now available at Spring Park but not Prince Street. School changes could result in changes to which schools have this program. Changes to what grade levels a school includes. For example, an under-filled K-3 school could become a K-6 school. Changes could include closing some schools, but in general the goal is to better use school buildings that already exist and to balance schools that are under-filled with schools that are over-crowded. School changes are connected to education goals. We want to influence changes that meet our hopes for children to learn well and thrive in positive, hopeful school environments. 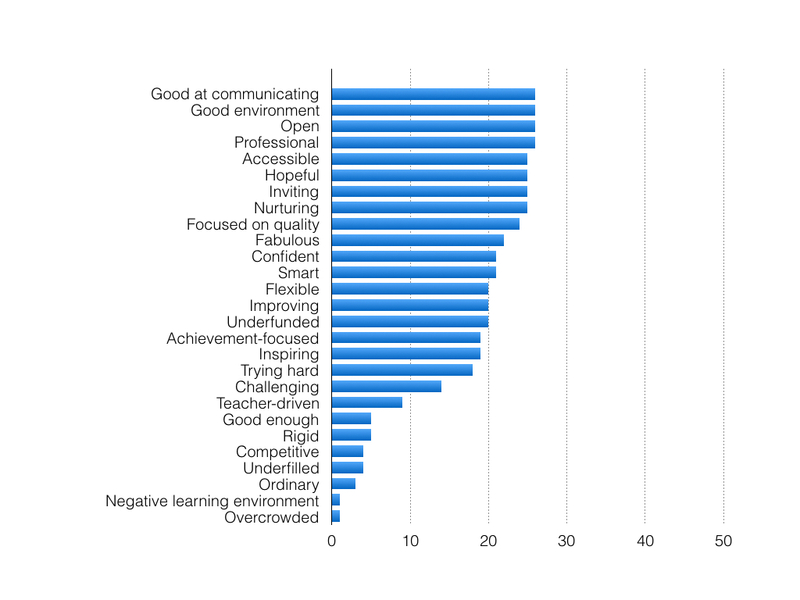 Thoughts about how school changes would affect the school community in good and bad ways. You can also share ideas to be included in a report that Prince Street Home and School will submit to government. This report will focus on the factors to consider and the values behind any school changes that could affect our school. 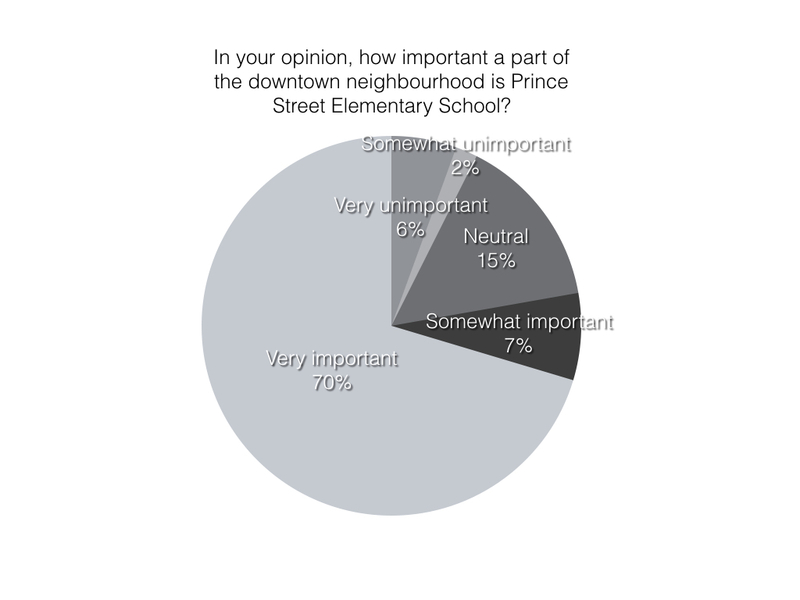 Complete our survey about what is important to you at Prince Street School: online at https://www.surveymonkey.com/r/princestreet or on paper from the school office. Put completed surveys or other comments or suggestions in a suggestion box in the office at the school. The deadline for your comments to be included in a consultation report from the Prince Street Home and School is November 18. In the coming weeks, Prince Street School and all schools in the Colonel Gray Family of Schools will be part of a school review by the Public Schools Branch. You can learn more about the school review at the Public Schools Branch website Better Learning for All. Our school community will be part of important consultations that will lead to school changes in our district. There are challenges and opportunities ahead. 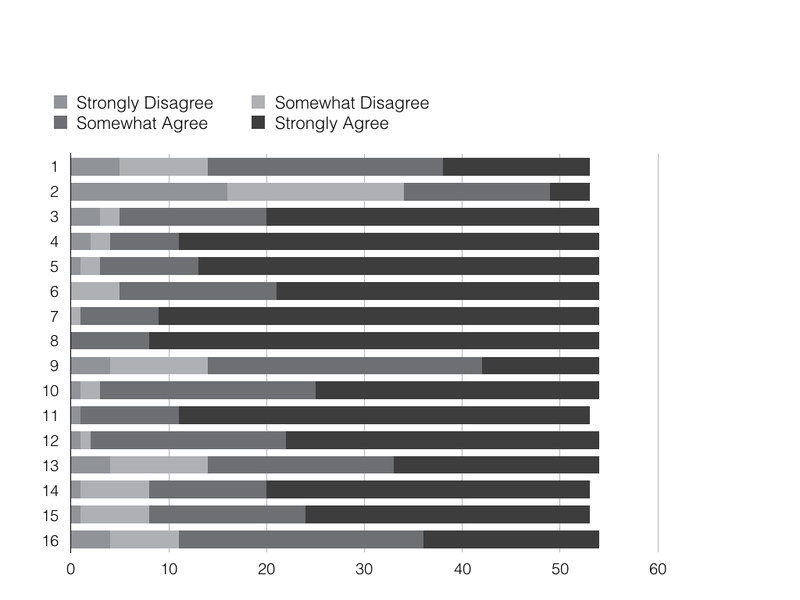 Here is the report with data to explain why our school is part of this review. Enrollment is trending down: it is 243 at present and forecast to be 192 by 2022. The population of elementary-school-aged children in our zone is also decreasing and expected to decrease further by 2022. Prince Street School's current capacity is 348 and current enrollment is 243. The Public Schools Branch reports we are using 70% of the school's capacity. The school is categorized as "under-utilized" and is "projected to continue to be under-utilized." The school is projected to be using 55% of the school's capacity by 2022. The cost per student of running Prince Street School is said to be $414.02. The cost per square foot of running Prince Street School is said to be $2.91. These costs are reported to be higher than average for elementary schools in the province. 4. Uniqueness of a school’s educational program. 7. Number of students enrolled in a school who live outside the school’s attendance zone. (d) the cost and funding of any renovations that are, or will be needed, in the next 5 years. 13. Current and potential uses of surplus space in a school for Public Schools Branch-related purposes. 14. Funding provided by the Department of Education. 17. An analysis of the projected cost savings or increases associated with change. 20. Any increase or decrease in transportation costs. (a) the economic impact of a change on the community; and (b) the economic contribution the school makes to community. Prince Street's District Advisory Council representative is Jane Ledwell. You can reach her at janeledwell at gmail dot com. Heather MacEwen is our alternate when Jane is not available. You will be able to make suggestions online when the Public Schools Branch opens up that process, or you can share ideas with Jane.